8 Creative Trade Show Swag Ideas. Trade shows are specifically designed to bring consumers and producers together. Consumers attend in hopes of discovering new providers of products or services; companies showcase their offerings in hopes of gaining more customers and overall increased business. As a business owner, they offer an inimitable opportunity to promote your products or services to a wider audience. However, the hard fact is that trade shows are competitive. With so many companies competing for the same consumers’ attention, you have to work hard to make an impression. But once you’ve gotten the customer’s attention, how do you actually make them place an order? Truthfully, many potential customers treat trade shows as fact-finding missions. They research new companies, but often don’t actually place an order until a later date. To make sure that you stay fresh in people’s minds, it’s vital that you offer creative trade show swag. Here, we’ll introduce you to 8 creative types of trade show swag that are bound to make an impression! What is trade show swag? Before we get into the offerings, let’s briefly discuss what trade show swag actually is. Trade show swag is the nickname used to describe promotional items offered by companies in their booths to potential customers. It may be displayed in large baskets for people to take, or it may be offered only to customers who have completed a sale. For more basic information on trade show swag, check out this post. Is it a portable seating mat? Or is it a satchel? The answer is yes and yes. 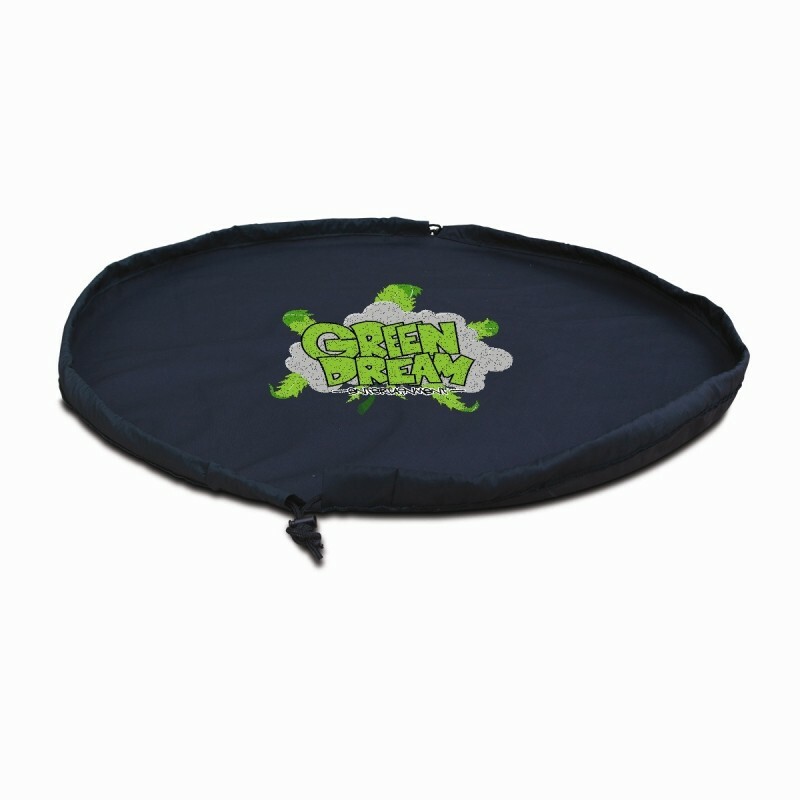 The pouch swoop bag is portable mat which converts into an easy-to-transport shoulder bag with a simple pull of a drawstring. It provides a perfect impromptu seating or activity space, and can be cleaned up and carried off with ease. This handy item can be customized, and will broadcast your branding every time it is used. Everyone could use an extra apron. Why not ensure that potential customers remember you whenever they cook? Emblazoning your company information on customized BBQ aprons is guaranteed to make your business memorable. 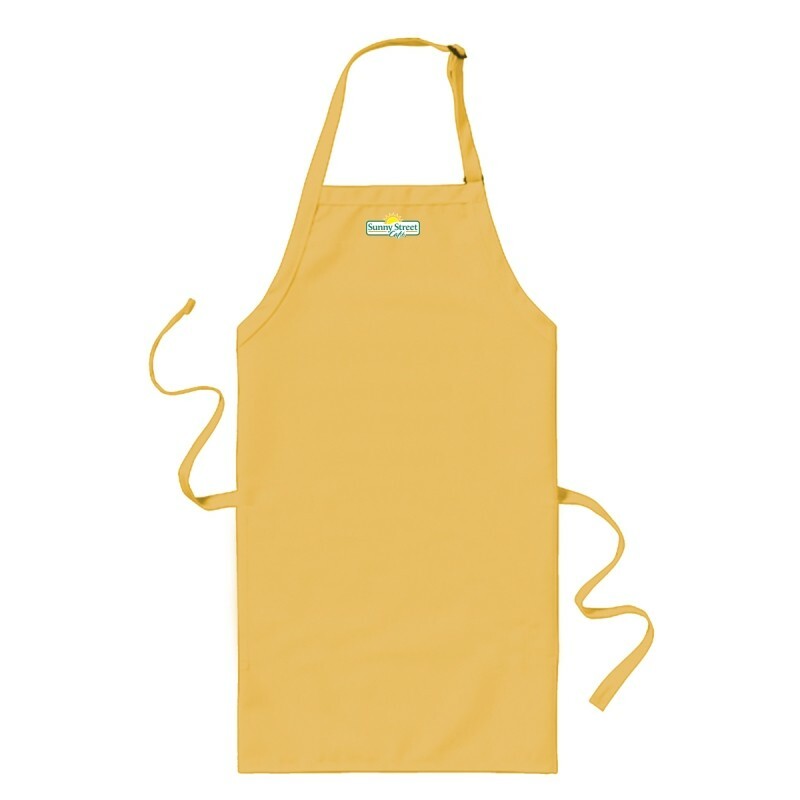 Customize it with your logo for long-term use, or print up aprons for a specific product launch to make a big splash. With minimums starting at just 100 units, these are a premium--and novel--trade show swag item. Everybody showers, and everyone needs to relax. Keep your company on customers’ minds exactly when they’re at their most relaxed and receptive by gifting them with customized robes, pictured at the top of the post. These soft and absorbent robes are one size fits most, so unlike t-shirts, you don’t have to contend with having multiple sizes available. As a premium product, they stand out in a way that t-shirts never could. Customers are bound to think of you fondly when you offer a swag item like this. Lanyards are a handy item at trade shows, allowing customers and exhibitors to display their name and company information in a hands-free format. However, lanyards can also be used at many other non-trade show times, both at business or during free time. 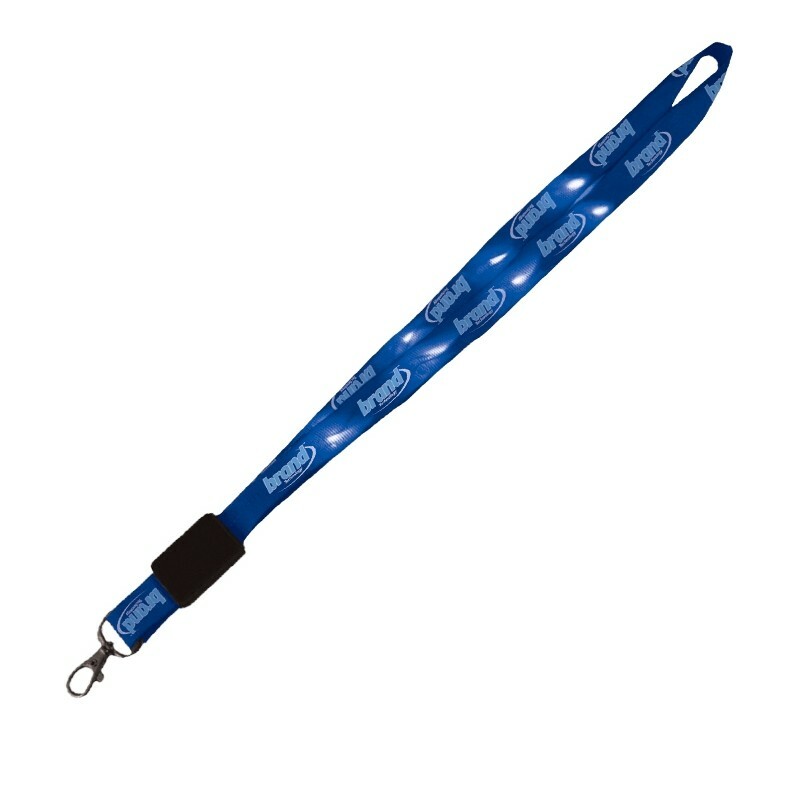 Make your company stand out by offering customers customized LED lanyards. Not only do these lanyards have your branding on display, but they light up, so they get the “wow” factor and literally grab attention. Let’s go fly a kite! Customized kites are a novel and delight-inducing giveaway, and they also in essence allow you to create flying billboards which display your branding on a public scale. Customers are bound to take these kites home and enjoy them, which means that every time they enjoy themselves they’ll be thinking of your company. Custom kites are a great way to establish your company as a creative and fun loving enterprise. Creative, unexpected, and...well, downright handy. 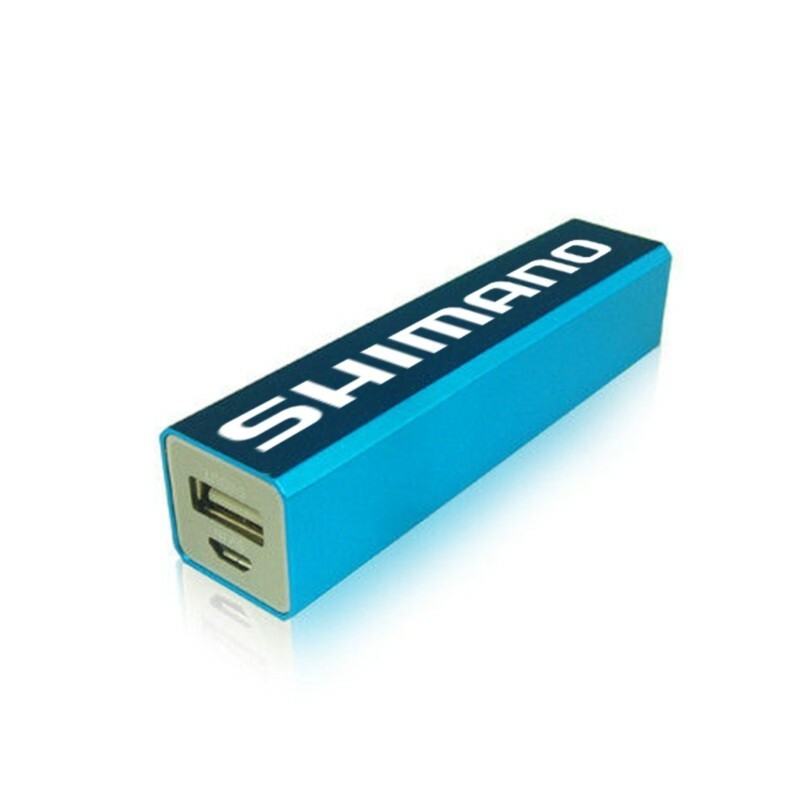 A customized power bank might not necessarily scream “fun and adventure!” but it is an extremely useful item that potential customers can enjoy at trade shows and beyond. Every time that they power up using this customized bank, they’ll be grateful for the gift. Continued exposure to your company branding means that they’ll think of you first when in need of your products or services. Customized t-shirts are a great advertising canvas, but fairly commonly used as a promotional item. To really help your company stand out and grab attention, consider having customized jerseys printed. With a vintage, traditional athletic look, these jerseys can be personalized with your logo and company branding. T-shirts are effective, but why not stand out with customized jerseys? Tote bags are a classic trade show swag item. You can get all of the tried and true benefits of a tote bag but still try something new with Above All Advertising’s drawstring backpack. Featuring a Pull Pack™ design, the drawstring pull allows for secure transport, ensuring that nothing falls out of the bag. This useful item is bound to be in frequent rotation for whoever you give it to, meaning that your branding will be etched in their memory on a frequent basis. Conclusion: Trade show swag can be a powerful sales tool. Not every customer is ready to buy at a trade show, but by offering a novel and unique piece of swag, they will be able to take a piece of your company home or back to the office with them. This means that you’ll be on their mind every time they see your branding, and will be far more likely to think of you when they are in need of relevant products or services. See for yourself the far reaching effects of offering memorable trade show swag! What type of trade show swag do you offer?